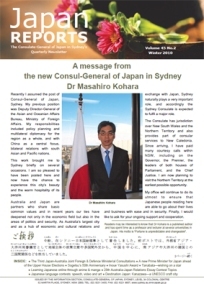 TWENTY-NINTH AUSTRALIA-JAPAN RELATIONS ESSAY CONTEST 2011. Australia and Japan share a very close relationship. ... In 2010,. Australia's major exports to Japan consisted mainly of coal, iron ore and aluminium, as well as beef, while the major imports from Japan were largely transport related, and the trade.